The City of Evanston’s Forestry Division will begin removing trees infested with Emerald ash borer beetles. The project is projected to last until late summer. Evanston forestry workers will cut down hundreds of trees this spring and summer, most of them ash trees infested with an exotic Asian beetle. City officials last week released a list of 424 trees to be cut down, about 400 of which are ash trees infested with the emerald ash borer. Trees located on private property are not on the list, and property owners with infested trees will receive a letter requesting the tree be taken down per city ordinance. 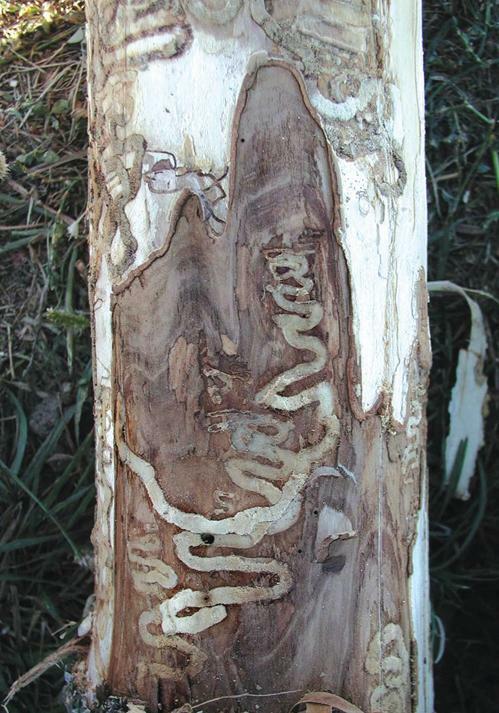 Emerald ash borers burrow into ash tree trunks and lay their eggs, producing larvae that eat inner bark. This hinders a tree’s ability to transport water and nutrients, ultimately killing it. Infested trees left standing could fall, posing a safety risk to residents and vehicles. Cutting down infested trees also serves as a preventative measure to keep the beetles from spreading to healthy ash trees. “If the ash trees infested with emerald ash borers are left standing, the larvae will pupate, hatch and the next generation of beetles will spread throughout the community,” said Mark Younger, Evanston’s municipal arborist. Younger said the beetles were found infecting Evanston ash trees in 2006. Since then, treatments to get rid of the beetles have been developed, but none have yet proven to be significantly effective, he said. As a result, Evanston adopted the policy of removing ash trees and replacing them with a variety of suitable species, Younger said. Wendy Pollock, an organizer of Evanston TreeKeepers, a group that supports local tree preservation, said while it is “heartbreaking” to cut down trees, she recognizes that invasive species are a real threat to trees all over the country and she only expects the problem to get worse. In fact, Younger said he expects ash tree removals to continue for two more years. Up until the 1990s, the city’s horticulture plan called for planting a single species of tree on each block. On blocks where the ash tree was the selected species, many trees have been removed as the beetles invaded them with ease, leaving the blocks’ appearances looking stark. In the last two decades, Evanston has adopted a policy of tree diversification. When forestry workers remove infested ash trees, different species are planted in their places. This makes it harder for invasive species like emerald ash borers to attack large populations of trees. Once a tree is removed there is a two-year wait period before a new one is planted to replace it. The delay is due to the removal of more trees than workers can replace on an annual basis. The Forestry Division has applied for two grants this year to help supplement the budget for tree planting.